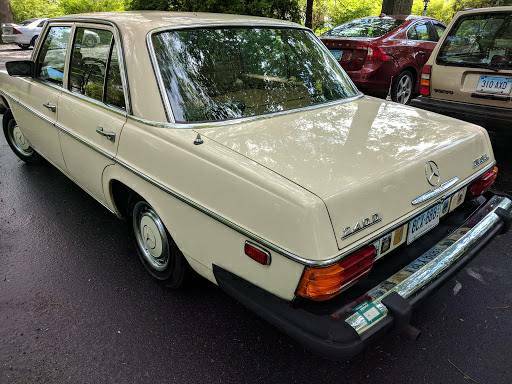 In case of nuclear war or the dropping of a EMP bomb, a Mercedes 240D will keep going about its business like nothing happened. These W115 Mercedes were widely used as taxi cabs for their durability and easily racked up high mileage badges with ease. In this day and age, it is hard to picture Ford building a Fiesta that was so overbuilt and rugged that you could literally drive one your entire lifetime. 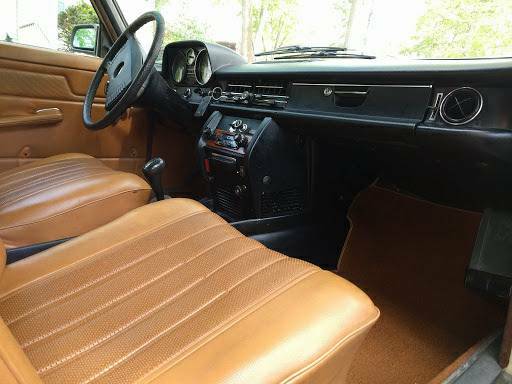 With that said, if you are looking for speed this is the wrong car for you as acceleration even with the manual transmission is at best glacial. 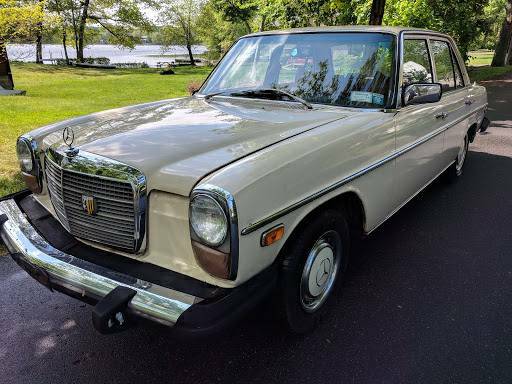 Find this 1976 Mercedes 240D for sale in Guilford, CT for $6,750 via craigslist. 1 owner car who lived abroad and left his car in the US. Have original shipping papers from Germay etc..
Looks drives great--looks like it was never sat in. The US Spec bumpers are ungainly and massive. Euro spec or earlier pre 1973 USA cars with the slim bumpers make these cars look an order of magnitude better. Once you hear and feel the door close on one of these era cars, you will never forget it. You can not help but feel like the car is made out of the stiffest piece of steel in the planet.